Dear friends and supporters, thank you for your kind donations, helping us raise a total of £3,857 through our Just Giving page, it is greatly appreciated. Through these funds we have purchased another year’s extension on our lease, here at Alexandra Park Library, providing us more time to seek further support, plan our business strategy and develop a year’s worth of events for both members and non-members. Plus, keeping the Centre open for visitors to access one of the most comprehensive libraries of Tagore’s work here in the UK. 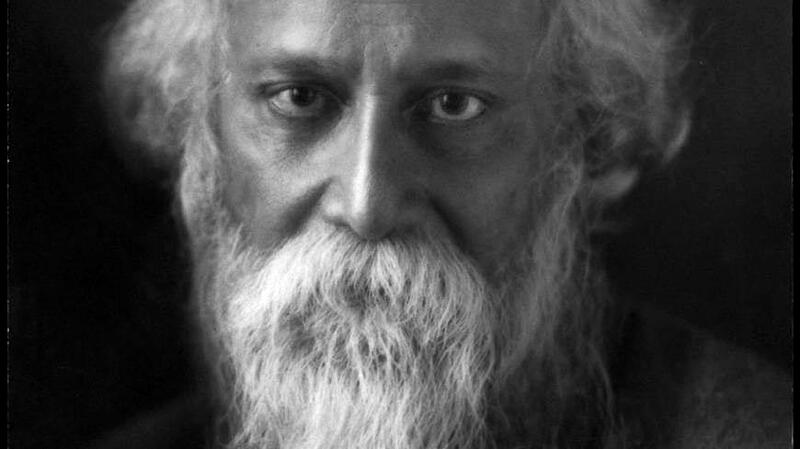 There will be more to come, including our online glossary featuring most of the English Language books on Tagore that we hold in the library, and the welcome return of our Sunday Events; details on both will be available in the coming weeks and months. For the moment, we just wanted to say thank you, to each and every one of you that has contributed to supporting us online and we hope you will continue to support us in the long term. Here from us is a short poem from the great man himself. Who are you, reader, reading my poems a hundred years hence? I cannot send you one single flower from this wealth of the spring, one single streak of gold from yonder clouds. From your blossoming garden gather fragment memories of the vanished flowers of a hundred years before. In the joy of your heart may you feel the living joy that sang one spring morning, sending its glad voice across a hundred years. Extract taken from This World Is Beautiful, collated and prepared by Sakti Bhattacharya, Kalyan Kundu, Jill Parvin and Kalyan Sircar. Published by The Tagore Centre UK.